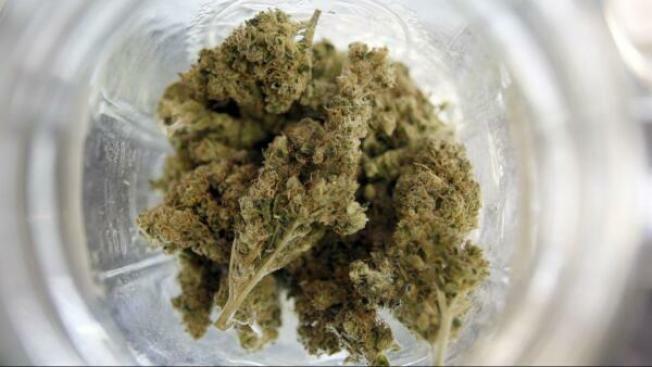 A member of Maryland's Legislative Black Caucus is asking the House to fully decriminalize marijuana this year instead of just commissioning a study on the prospect. Del. Keiffer Mitchell Jr., a Baltimore Democrat, submitted an amendment Friday afternoon that would restore the decriminalization bill recently passed by the Senate. Mitchell's move could force the bill to a vote by the entire chamber, rather than leaving it to a 22-member committee. The House will consider the matter again Saturday, and Mitchell said in an interview that he's close to getting the votes his amendment needs. The Senate's bill would eliminate criminal charges for possessing small amounts of marijuana and institute a maximum fine of $100 instead. The House Judiciary Committee watered the bill down by assigning a task force to study decriminalization policies. Mitchell told his colleagues it's an urgent matter because black residents are being arrested for marijuana possession disproportionately to white people who use the drug. The American Civil Liberties Union found last year that black people in Baltimore are 5.6 times more likely than the city's white residents to be arrested for marijuana possession. In Garrett County, they're more than six times more likely, the ACLU reported. Nationwide, that arrest rate is 2.9 times higher. Mitchell said the Senate's bill is by no means radical; 16 other states and Washington, D.C., have taken similar measures. Last year an analogous bill passed the Maryland Senate but died in the House Judiciary Committee.